Langley, BC – Single Game tickets and Flex Packs for the 2016 Vancouver Stealth season go on sale to the public Tuesday, November 10 at 10:00am PST. 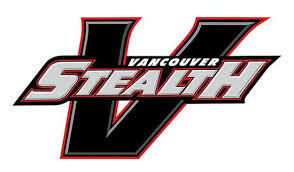 The Stealth open their regular season campaign on January 9 against the New England Black Wolves at the Langley Events Centre. Single game tickets start at $19.75 (taxes and fees included) while 3 Game Flex Packs start at $25.30 per game, or $76.00 total and 5 Game Flex Packs go for $24.20 per game, or $121.00 total. The Flex Packs can be used on an individual game basis or all at once as a group of tickets for one game. Don’t miss your chance to see an exciting Stealth squad that currently has 20 British Columbian born players on the roster including; the franchise leader in goals, assists and points, Rhys Duch, Langley native and three-time 100 point scorer, Garrett Billings, and former 1st overall pick and 2014 NLL Rookie of the Year, Logan Schuss. The season features some superstar highlights for sports fans. John Grant Jr. will make back-to-back visits with his Colorado Mammoth on January 23 and February 6. The Calgary Roughnecks, featuring Curtis Dickson make two appearances at the LEC on February 20 and April 16. The Buffalo Bandits will make their only visit west on March 5, while the Toronto Rock will renew pleasantries with the Stealth in their lone visit on April 2. Finally, the defending NLL Champion Rush will make their first appearance at the LEC wearing Saskatoon green on March 19 and return for the Stealth’s final regular season home game on April 23. The Stealth have plenty of great promotions lined up this season. The team will celebrate families on Family Day weekend (February 6 versus Colorado) when the “Kids Run the Show.” Young Stealth fans will have the opportunity to get involved, literally, in the Stealth game day production. March 19 against Saskatchewan will be Lacrosse on the Move Night featuring a new BC themed jersey that will be auctioned off with the proceeds benefitting the Lacrosse on the Move Fund. The “Stealth Experience” will be back on April 2 against Toronto when young lacrosse players are invited to stay after the game and participate in a special skills clinic with Stealth players on the turf. More special events will be announced leading up to the start of the season. For more information, or to reserve your seats today, please email Tickets@StealthLAX.com or call 604.882.8800. Be the first to comment on "Single Game Stealth Lacrosse Tix Now Available"